The EPA under Scott Pruitt – a man better known for fighting with it in his previous life as Oklahoma Attorney-General – has not moved in directions which are healthy for the planet, it would be fair to say. Between slicing up legislation on mercury, essentially purging any mention of climate change from government websites, and supporting the creation of the Dakota Access Pipeline, an agency which once stopped industrial pollution into America’s rivers has become a parody of itself. Whatever good work it was doing under previous administrations – in spite of chronic underfunding and industry efforts to stymie it – is increasingly being undone. 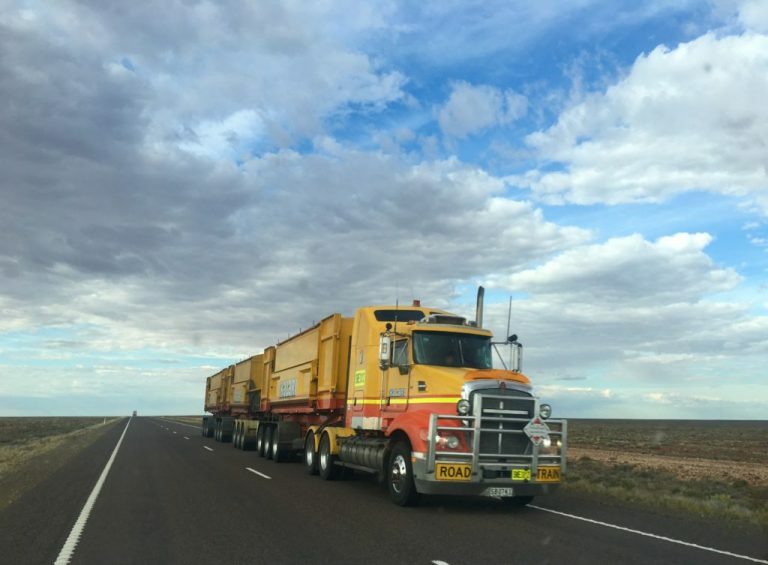 Amongst the legislation which the EPA now looks set to target surrounds emissions regulations for trucks. Whilst shipping (and to a much, much, lesser degree, trains) do carry some of the US’s cargo, drayage by truck remains a massive part of the supply chain: how else are you going to get it that last mile? Unsurprisingly, this generates a lot of pollution: trucks are big, dirty machines, and older models throw out plenty of particulate matter and other nasties, tied to climate change as well as a host of respiratory and cardiovascular problems (there’s increasing evidence they might be endocrine disrupting chemicals too, with effects ranging from obesity to lower mother-infant affinity to cancer). Whilst certain states have long had a hankering for greener alternatives – California leading the way, unsurprisingly – the Obama administration set out to change the problem at a national level. Amongst the measures taken was to clamp down on glider kits: truck bodies which parts are attached to in order to complete a vehicle. They’re cheaper than buying a brand new vehicle – and for the truck drivers, that can mean a lot, particularly due to another part of the EPA’s legislation, which pushed manufacturers to lower emissions on newer models. The results are very effective models from 2007 onwards, whose filters are highly capable of cutting out pollutants, lowering the damage to our health and to the planet’s. That efficiency comes at a cost – not only are they far more expensive than older, dirtier versions in terms of purchasing costs, but the parts for repairs are also both dearer and less common. Compared to the rather basic, late 20th century models, when something goes wrong in an EPA friendly model, fixing it is beyond basic service skills. That ‘going wrong’ was on display last year, when the Port Authority of New York and New Jersey tried to encourage local drivers to switch out old rigs for new(er) models from 2007 and later. The scheme offered drivers lower prices, but they came with an unpleasant surprise: the filters, not designed for idling, had a tendency to clog up with particulate matter, and then combust. It was an oversight on the part of manufacturers who had not paid heed to EPA regulations until the last moment, and for those drivers whose trucks had been destroyed, it cost them their livelihood. Pruitt’s EPA is driven by the concerns of big business, not common truckers who have to put up with their choices, and gliders and old, polluting trucks a long term solution to the problem of drayage. It’s just that in a strange, roundabout way, the man selected by Trump to drain the swamp of government bureaucracy may have actually done something for the common man.